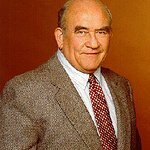 Ed Asner and the Autism Society of America, the nation’s leading grassroots autism organization, presents the Ed Asner & Friends Poker Tournament. Expected to join Ed Asner at the event are Rosie O'Donnell, Don Cheadle, Matthew Modine, Michael Chiklis, Dylan McDermott, Lou Diamond Phillips, Ed Begley Jr., Tom Bergeron, Peter Fonda, Daryl Hannah, Thomas Gibson, Lisa Loeb, Michael McKean, Elizabeth Carlisle, Holly Robinson Pete, Wayne Brady, Randy Rainbow, Sebastian Bach, Rocky Carroll, Patricia Heaton, and Greg Grunberg among others. More than 300 guests are expected at this year’s event. In addition to the Celebrity Poker Tournament, guests will also enjoy a dinner buffet, cocktails, silent/live auctions and opportunity drawings. The top three winners will be awarded prizes. The poker tournament is expecting to raise over $100,000 to support Autism Society’s mission to increase public awareness about the day-to-day issues faced by people on the autism spectrum, advocate for appropriate services for individuals across the lifespan, and provide the latest information regarding treatment, education and research. Autism currently affects 1 out of every 68 individuals and their families. FOR TICKETS: go to Poker Tickets.